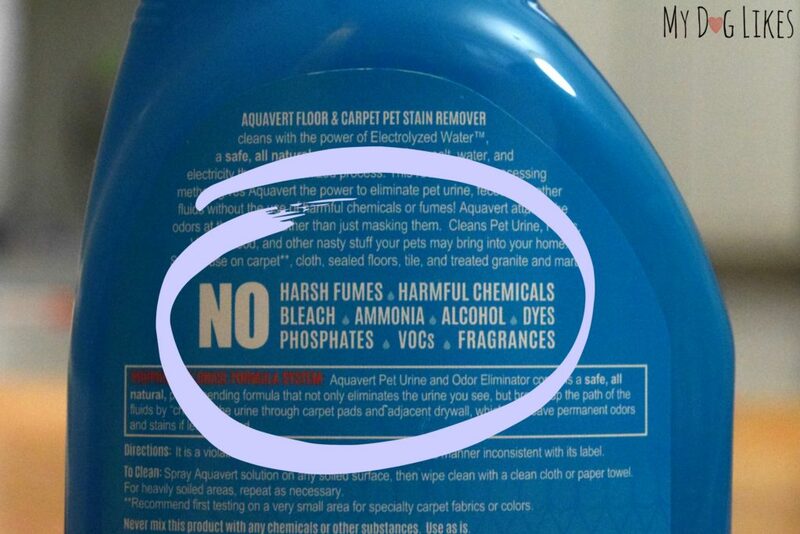 As pet parents, we have long been proponents of natural cleaning products. Just think about it… while we may come into brief contact with our floors and counter-tops, our dogs and cats will be lying directly on top of them, and perhaps even licking them! Our commitment to natural has become even more important to us after welcoming a baby into our home earlier in the year. We know that traces of whatever products we use in our home are liable to be ingested by one of our children – whether they be human or furry! That is why we are very excited to let you know about an innovative line of natural cleaning supplies that we recently had the opportunity to try. Aquavert is sponsoring this post so that we can help to spread the word about their unique, eco-friendly cleaners. 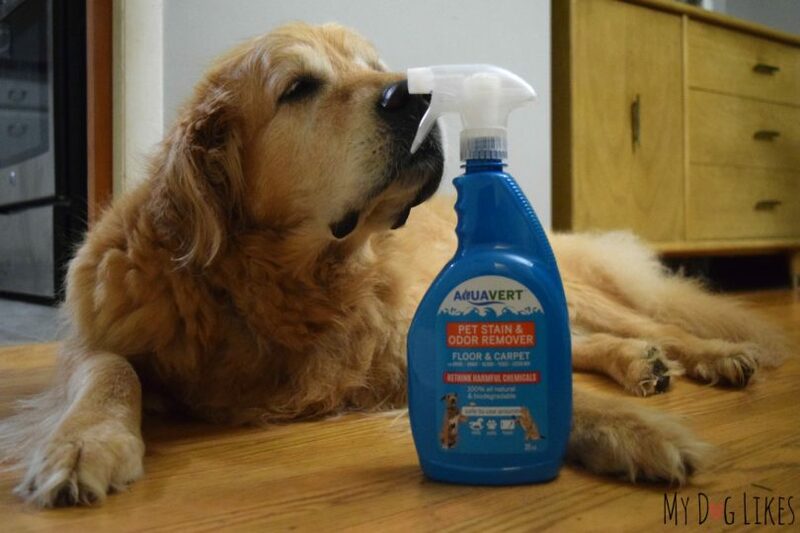 Aquavert is a line of natural cleaning products unlike any you have seen before. Instead, these cleaners disinfect with the power of electrolyzed water. The active ingredient in Aquavert is Hypochlorous Acid (HOCL) which is created when a mixture of salt and water is given an electric charge. Hypochlorous Acid can kill 99.99% of germs and bacteria including E. Coli, salmonella, and even MRSA. Believe it or not, that makes it more than 100 times as effective as bleach! Unlike bleach however, Hypochlorous Acid kills bacteria mechanically – by breaking down their cellular walls as opposed to chemically – by poisoning the cells. This makes Aquavert completely safe for humans and animals. It also has an added benefit of preventing germs from mutating and becoming resistant over time! This solution has been used for decades in industrial applications but was previously not stable enough to bottle. After all, who has a generator in their home to electrolyze water? Aquavert has changed that with a patent pending process allowing this technology to enter the consumer market. They were kind enough to send us some of the stain and odor remover to check out. With 2 dogs and a cat, surely we could find some uses for this! 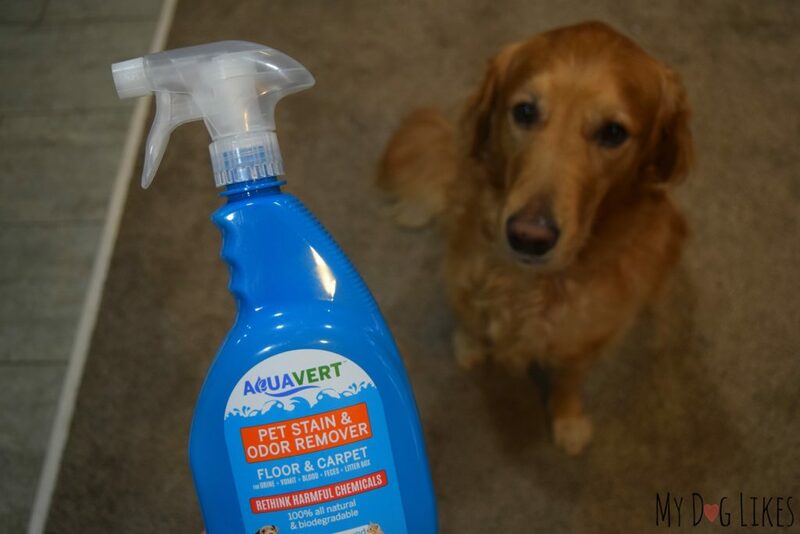 Aquavert’s stain and odor remover is designed for use on floors and carpets – to deal with stains from urine, feces, vomit and even blood. It comes in a 32 oz. spray bottle. The first thing you will notice about the spray is that is has both the clarity and viscosity of water. This makes sense, as in essence is still is! Aquavert has a very neutral smell but if you really lean in it is reminiscent of a swimming pool. That is because Hypochlorous Acid is actually the same agent that helps to keep pools clean in the Summer. Thankfully, we didn’t have any actual pet messes to clean up with at the time of our testing (though I’m sure we will in time.) 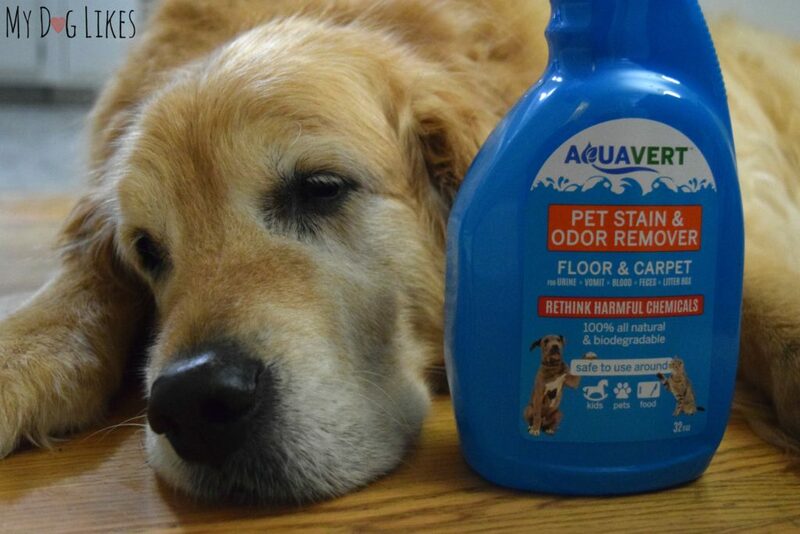 We did however use Aquavert to clean a section of both carpet and floor and loved the fresh, clean scent. 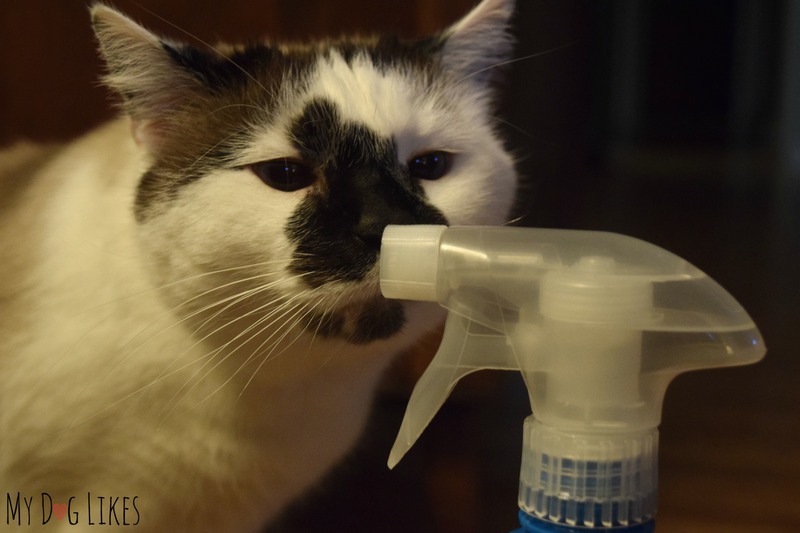 We will certainly update this post as soon as we get a chance to see how it performs against a pet stain or odor! 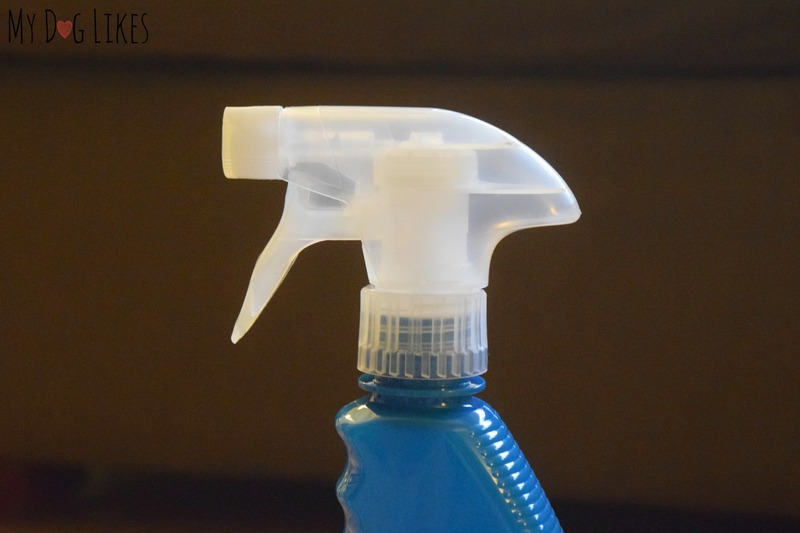 It is very important to us that the cleaning products we use in our home contain no harmful chemicals. Aquavert’s electrolyzed water solution gives us an effective cleaning agent, without leaving behind any potentially dangerous residues. With all the recent news of anti-bacterial cleaners contributing to the rise of superbugs, we also love that we have found a way to keep our family safe, while not contributing to this issue! This gives us tremendous peace of mind, and we can’t wait to try out more of their line in the near future! 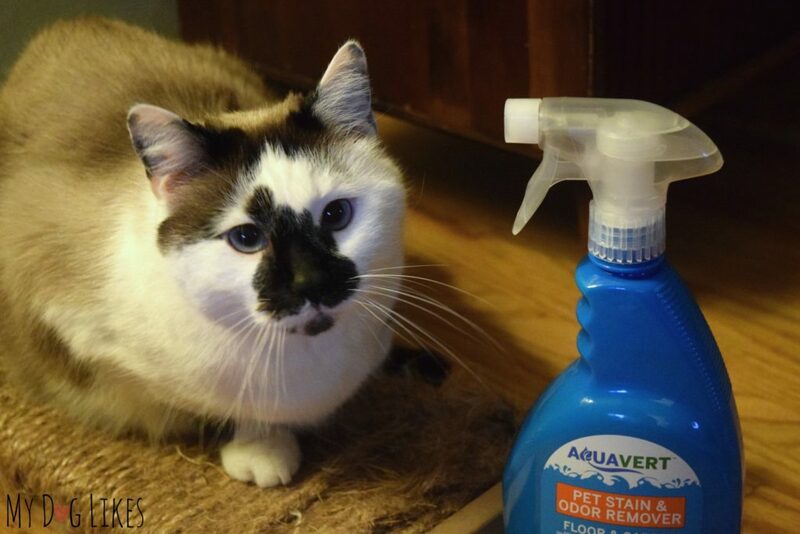 Want to give Aquavert a try in your home?